Our Family Cottage has 5 rooms three upstairs and two down stairs. The master bed room has a capacity of accommodating three bed hence can be arranged as double, twin and triple depending on the number of visitors received and their choice of sleeping arrangement. The other two rooms upstairs can be arranged as single, double and Twin as so as the other two rooms down stairs. The family cottage also has a kitchen, dining room and sitting area with fire place. In room services such as wakeup calls are provided all times free of charge. 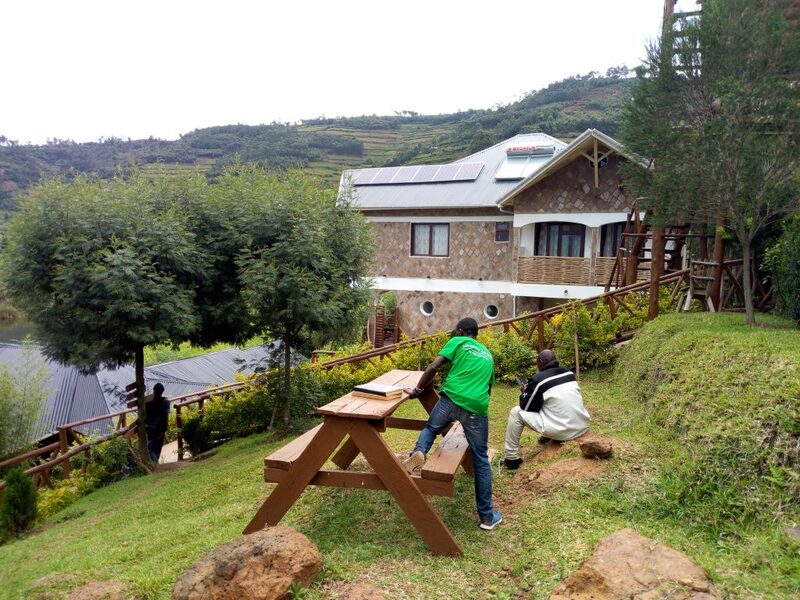 All Rooms have private balconies plus clear views of Lake Bunyonyi and the neighboring communities.